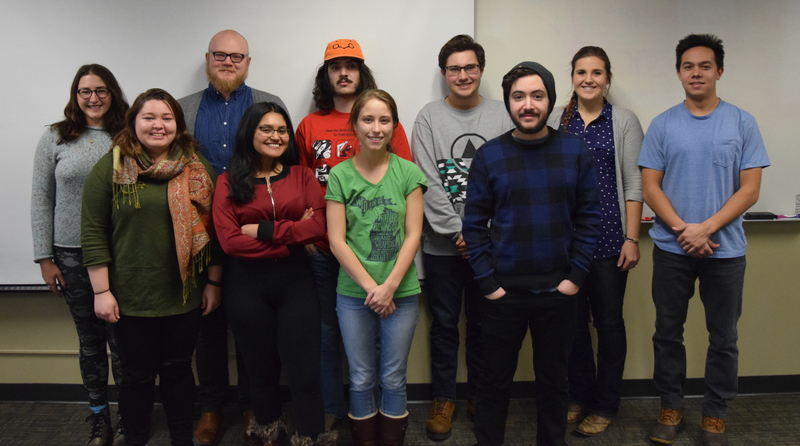 The Michigan State University History Harvest seeks to collect and make available the oral histories and artifacts that pertain to the Latinx culture in the Greater Lansing Community. Students carefully digitize these artifacts and publish them in an online archive that will preserve the community’s rich history. In the Fall of 2017, nine Michigan State University undergraduate students collaborated with two MSU faculty members to host an event in which we invited the community to join us in building this local archive of heirlooms, historical objects, and community memories. We continued to reach out to other members of the community, as well as MSU faculty who were willing to contribute their artifacts and memories to further enhance our collection. The class was overseen by Brandon Locke with MSU Museum Curator Dr. Shirley Wajda. Though we ourselves were not involved in the community we set out to collect histories from, we feel that it is important for marginalized groups to have their stories told and preserved. This project would like to give special thanks to Joe Garcia and the Cristo Rey Community Center, Diana Rivera and the Special Collections at the MSU Library, Delia Fernandez, Marco Seiferle-Valencia, Jen Andrella, Daniel Fandino, and Brandon Locke of LEADR, Dr. Shirley Wajda, and everyone who graciously shared their time, stories, and artifacts to create this digital archive.